Welcome to the Japanese Palace. Learn more about our unique dining experience. Watch a quick video below! 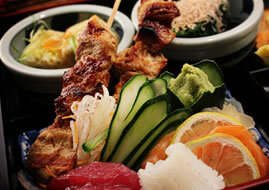 Sign up for our newsletter and we will send you a coupon for a free appetizer for your next visit to Japanese Palace. Ask about our gift cards in any denomination. They are good for food, alcohol, tax, and tip. They have no expiration date or monthly charges. As sushi chef, I begin with daily fresh fish from our Dallas fish market. Some of our popular dishes are sashimi, Bob Salad, and our Mountain roll. We also do many party platters for take-out to enjoy at home. 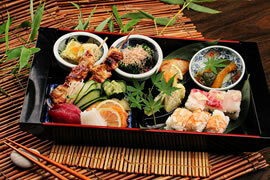 TRAINING: I began my sushi career working in a Japanese restaurant in California. In 1997, I moved my family to Fort Worth and began working at the Japanese Palace. It was the first Japanese and sushi restaurant in Fort Worth. For the last 20 years, I would call Japanese Palace my second home. For nearly 40 years, Japanese Palace has been Fort Worth’s most iconic and loved Japanese restaurant. Featuring authentic Japanese teppanyaki cooking tables and sushi bar, gracious hospitality, and unforgettable dining experience. At Japanese Palace, we have all your favorite Japanese entrees; everything from freshly prepared Sushi and Sashimi, succulent Teriyaki and mouth watering Teppanyaki dishes. Japanese Palace is a great choice for private parties in one of our dining areas for either lunch or dinner. Don’t want to have your event at our place? 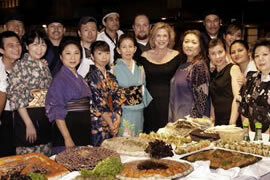 We can bring our great Japanese menu to your place for that company event or family gathering.